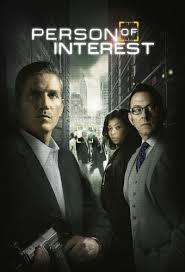 Cancellation Watch: CBS Renews Person of Interest, Will It Start to Explore its Sci Fi Possibities in its 3rd Season? CBS announced today that the J.J. Abrams pre-crime show Person of Interest would be coming back in Fall for a third season. That comes as no surprise as it has performed well in the ratings during its second season, consistently ranking in the Top 20 broadcast shows. But this series may not have been high on the list of many genre fans because even though it has sci fi elements as part of its core premise (a supercomputer that can predict crimes before they happen and can identify the victims), it has rarely explored its potential in that direction. It has followed more of the crime drama path that’s typical of the CBS brand while also throwing in a little bit of the superhero angle (sort of like a high-tech take on the late-80’s series The Equalizer). And while it has compiled some decent episodes and it has the strong dual leads of Jim Caviezel and Michael Emerson in its favor, it has in the opinion of many genre fans left a lot of material on the table. It has steered away from the cynicism and paranoia you might expect from the uber-surveillance society that it focuses on and also avoided many of the moral dilemmas associated with the ability to predict crimes before they happen. But with the third season renewal, will they take the opportunity to start delving into those story possibilities? J.J. Abrams is no stranger to risky, edgy television and I’m guessing that its mostly been CBS that has hamstrung the show and insisted that it not veer too much from the procedural formula expected from their dramas. But the renewal may give Person of Interest some leeway. Typically these days, when one of the broadcast networks greenlights a show for a third season, they are also giving it a de facto fourth season renewal as well. You see, the syndication market looks for a minimum of somewhere around 88 episodes (four full seasons) so that a show can air continually in reruns for several months before repeating itself. Three seasons brings a show to 66 episodes, which is a less attractive package for syndication. So if the network is going to foot the bill for that third season, they likely have already earmarked it for a fourth (short of a total ratings collapse) to get it to the episode count the syndication market prefers because that’s when a series really starts to see a return on its investment. So assuming all that holds true with Person of Interest (no reason to assume otherwise), maybe the show will now have some freedom to take more chances with its storylines. And it would definitely be nice to see them plunge headlong into some of the sci fi aspects of its premise. I’m sure CBS tempered that a great deal for its first two seasons because they have demonstrated a notable aversion to genre shows for the past five plus years. But now that it has proven itself, maybe they will give it a bit more rope. Or maybe they will decide that it’s best not to mess with success, and keep it bound to the formula it has followed thus far. I’m hoping not, but we will have to wait until next season to see for sure. In the mean time, there are plenty more renewal and cancellation announcements that will be coming over the next month in a half prior to the May upfronts (when the networks finalize their schedules for the next season). Keep an eye on this site and the Cancellation Watch Twitter Site for breaking news and also watch for my final round of predictions due out soon.